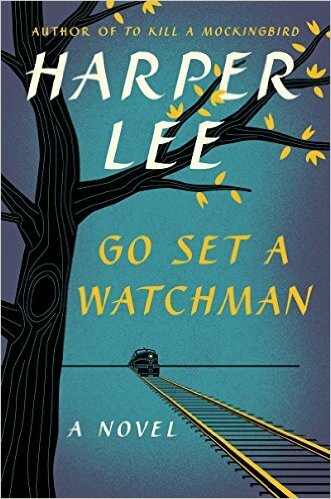 I’ve been more intrigued than I ever imagined being about the fuss surrounding the release of “Go Set a Watchman.” I had expected it to be merely a failed “Mockingbird,” cynically dusted off and sold; the reality turns out to be vastly more interesting. Old-media to care about such things, but Michiko Kakutani’s review made 1A of the New York Times! Above the fold! And what does it take to get a book review to 1A, aside from being a long-lost (or at least, long-ignored) work by the reclusive author of one of America’s best-loved novels of the 20th century? A stunning plot twist, in this case that the saintly, beloved Atticus Finch has been re-imagined as an older and unabashedly racist man. 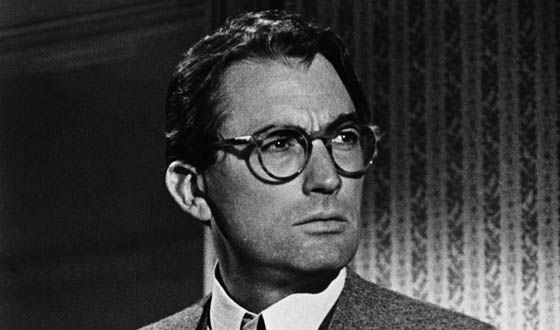 A more realistic product of his time and place, in other words, than the version the world knows and loves from “Mockingbird,” immortalized in the film version by the dapper and righteous Gregory Peck. Many of the hundreds of people who commented on this Times review or a related sidebar seemed horrified: a beloved icon has been shown in a new light. Perhaps, two beloved icons: Atticus Finch and Harper Lee. Will the world ever see them the same way? Will this fundamentally alter the legacy of “Mockingbird”? But for me, such questions are absurd and fundamentally beside the point. The world will never remember this, because it’s confusing — because this novel was published 55 years after that one, and this novel is set 20 years later than that — but “Watchman” is the original, the ur-text, not “Mockingbird.” Atticus Finch was imagined as an old unrepentant bigot before he was a saintly crusading lawyer; Scout was envisioned as an angry young woman who moved to New York to escape her hometown before she ever was a spunky tomboy enjoying the freedom and mysteries of that town. There was one dark, lumpy uncomfortable book before the syrupy certainties of that other book, the one that made her famous and beloved, a sort of kind maiden aunt to all of America. There are two far more fascinating aspects to this kerfuffle. One is how we now can regard in an entirely new light Harper Lee’s decades-long failure to publish any more fiction. Maybe “failure” isn’t even the right word. Maybe it was more of a renunciation. She tried lumpy and dark and angry; she was slowly led, or led herself, or perhaps there is no distinguishing the two, to sweet and certain, and there lightning struck. It was exactly what the nation needed at that moment; it caught the mood of its time, and more remarkable, it endured as emblem of its time, an uplifting tale about race in America that left nearly everyone feeling good about themselves. Is there any wonder that a young writer would be struck wordless after such a turn of events? It would be more of a wonder if she weren’t. She struck gold, and she struck it by telling a story that, just perhaps, struck her as a bit too sweet, a bit too pat. Not the thing she had set out to say. So what next? The other and to me even more fascinating aspect is that this all offers an object lesson in how a novel can set out to be one thing and turn into something else entirely. As readers, we like certainty: this is the text, a finished product, set in type or pixels. The book assumes a life of its own, like a person. The idea that there exists an entirely different version of the same work is as disturbing as a thought experiment involving one of your parents having married a different person and produced a different you. But as novelists, or aspiring novelists, we nod sagely. Yes. That’s exactly how it is. A brilliant expression of this is found in Kate Atkinson’s “Life After Life.” A book as hard to describe as it is mesmerizing to read (at least once you get past being totally confused), it tells the story of one woman and her family over and over, with a different ending each time. (And by ending, I mean death.) The swoopy feeling of freedom you get reading this — as an aspiring novelist trying to negotiate between what you want your characters to do and what they want to do, or what you think they want do to, over and over and over — is indescribable. Once I would have thought Atkinson was being clever and postmodern, but now I see she is simply telling the truth about fiction. Which brings us back to Harper Lee. Why did she decide to consent to publish this work after so long, and will she ever tell us? There is certainly fodder for the theories that she was pushed or manipulated into it, an old woman no longer in full command of herself. But the idea that she wanted, finally, to tell the dark version of “Mockingbird” suppressed a lifetime ago seems just as possible, and far more satisfying as a story. Great observations… I agree with you about Kate Atkinson’s book. This is exactly how a novel is written. What a thoughtful reading of these events – I wrote a piece about this (hell, everybody did) a few days ago. I made the observation to a couple of people that the difference between “Watchman” and “Mockingbird” is that the former is “of a season” and the latter is “for all time.” Speaking as a Southerner, I am strongly inclined to agree with you – Harper Lee wanted to get the “rest of the story” out there so that everyone else would have to deal with it even as she did. That just feels right – and is oh, so Southern….great piece…. Follow up comment on this – I’m about 2/3 of the way through “Watchman” now, and my read is this: if the reader approaches this book as what it is, a 60 year old novel about the pre-Civil Rights South, it’s a good read and a very solid piece of work – sort of akin to Lillian Smith’s “Strange Fruit” (though that book is still grittier – though I might change my opinion once I finish “Watchman”). If one tries to approach it as what it is not, a “sequel” to “To Kill a Mockingbird,” one will be disappointed. How disappointed will relate to how deep a “Harperite” – think Janeite – the reader is.